The student judging panel, first italian preview, will be assigning “The best full-length film award – student judging panel award” and “The best experimental short film award – student judging panel award”. The 14 full length films and short films (lasting each one 4-6 hours) of the contest will be played on the festival, on 8th to 14th of April 2018. Exclusively at Lucca central cinema. A part of the job demanded will be prepatory work, to be done before the festival, a part to be done during the course of the festival, and a part of work after the end of the festival. 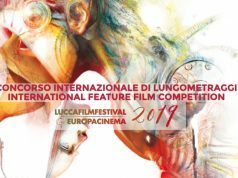 1) Enroll in the student judging panel by sending an email to segreteria@luccafilmfestival.it where you’ll have to add all of your personal data required to realize the training university programme. (a file pd signed by the festival tutor, who will be indicated, and signed by a professor in your degree course) to be consigned in paper format on a meeting with the academic coordinator (Dott.Nobili) before the stage begins. 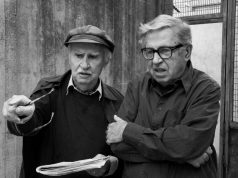 2) The preparator work, before the start of the festival, to be done individually or in a team, will be related to full-length films and short films. Every member of the panel or every group of work composed of more judges (the groups will be organise due to the number of the requests made for participating in the panel) will be assigned one full-length film and one short film of the contests. The member of the panel or the group of work will receive, indeed, before the start of the festival a link to the online viewing of the full-length film and short films assigned. 3) After viewing the members of the panel or the group assigned to the film will write a presentation of the full-length and short film, including in it the personal data, a synopsis, and a biography of the film director. 4) In the end, the members of the panel who will work individually and the groups of work will receive before the start of the festival also the email contact of the film director. If the film directors will not be present at the festival the member of the panel or the group of work will interview them via email and before the festival. 2) Also before the showing of the films the group or the member of the panel who doesn’t work in a team will be presenting the full-length and short movie to the public, together with the selectors of their respective contests and with the film director or other workforce partecipant at the event. 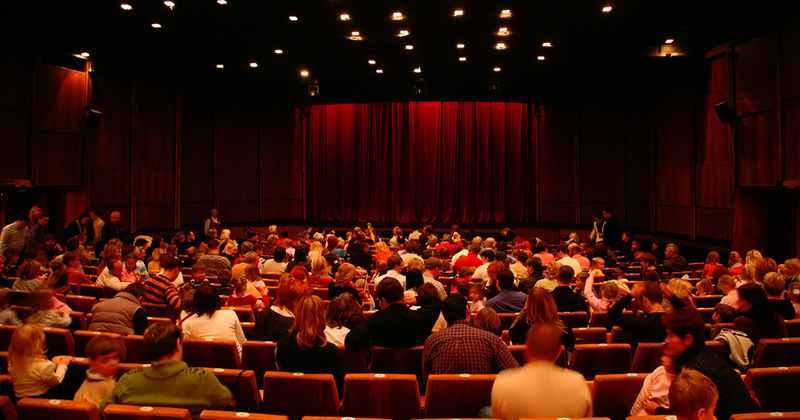 After the showing the group or the member of the panel will animate and coordinate the discussion with the public on the film just shown. 3) If the directors of the full-length film or short film will not be present at the festival, after the film showing, the group of work or the member of the panel will choose some questions and answers to the interviews made vie email to the authors before the festival and share them with the public. 4) If the authors will be present at the festival the group of work or the member of the panel who works on his own will interview them at the best moment by both parts. 5) The students should join the discussions that will be organised by the panel coordinator (Nicolas Condemi) during the festival and to the final general discussion with all the members of the panel, that will be held Saturday 14 April (place and time to be defined), and to the awards ceremony taking place Saturday 14 April and Sunday 15 April at the Cinema Astra of Lucca. 6)Lastly, it is compulsory for each of the students the viewing of all the other films, full-length and short films, of the contest during the festival, signing the attendance register at the entrance and at the exiting of each film showing. 1)Each member of the panel will write a review for every single full-length film, including the one assigned to the groups of work or to the single student working offteam. The student will coordinate with the responsibles of the festival full-length film contest for a revision of the reviews made, which wil be at the end uploaded on Facebook or on the festival blog. The students will have to sign the attendance register at the ticket office where the films are displayed. If not signed the attendance register at the start and at the end of each showing scheduled the student will be automatically excluded from the panel and will not achieve any course credit. The festival gives the possibility to have lunch and dinner for free at a cafeteria in the centre of Lucca for the students not living nearby Lucca and Viareggio. The students have to pick up the special free membership for jury members DISCO at the showing of the first full-length film of the contest. On the membership card will be indicated the titles of the full-length films in the contest and the days and the time of each short films showing. The students who have university book will ask to sign the attendance register before the start and at the end of each showing of each full-length and short films that they will join. The students are also obliged to let the festival register responsible sign their personal membership card at the start and at the end of each showing. The students who will have accomplished the preparatory work at the festival, who will have joined each of every full-length films and short films of the contest, who will have participated in the panel discussions, in the awards ceremony and finally who will have consigned the final works requested, they will be able then to complete the final procedures of the stage and obtaing the 6 cfu expected in free student choice. PARTICIPATION IN THE PANEL BY ANY STUDENT OF ANY COURSE OR UNIVERSITY PRIVATE OR PUBLIC, ITALIAN OR FOREIGNER, ORGANISATION. Every student enrolled have to watch all of 14 films of the contest of full-length experimental films, first italian preview, during the festival and the 4 to 6 hours of films of the short films experimental contest, in the days between 8 and 14 April, and exclusively at the Central Cinema Of Lucca. The student have to ask for signing the attendance register at the ticket office where it will be set the showing of the films in the contest they intend to watch. If the attendance register will not be signed at the start and at the end of each showing and if all the 14 full-length and the short films will not be seen the student will be automatically excluded from the panel.